I was out showing one of my short sale listings in Little Elm, Texas this evening. After showing the property, I did my usual walk-around to check on the property. As I looked at the front of the house, my eyes drifted to the roof of the neighboring property. It took me a few minutes to digest what I was seeing. It appeared that the chimney flue for the gas hot water heater was missing! It had either been removed or had dropped into the attic. Either way it is a highly dangerous situation. Gas furnaces and hot water heaters produce carbon monoxide (among other things) and the flue usually vents the exhaust gases into the air outside of the home. In this case the gases were being vented into the attic of the home. I attempted to contact the homeowner but nobody was home. I wound up leaving a handwritten note on the front door letting them know about the danger. It’s a good idea to inspect the outside of your home on a frequent basis. You can often find problems in their early stages. I usually look for termite tubes and fire ant mounds around the foundation line. I also check out the roof for missing or damaged shingles. I’ve added missing flues to my checklist. 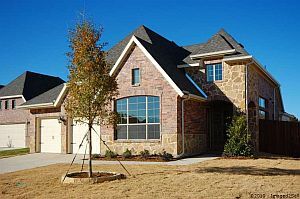 Little Elm TX Home For Sale – Former model home located in Frisco ISD. Gourmet kitchen has 42-inch cabinets, granite counters, and stainless steel appliances. Great room has soaring ceilings, stone fireplace, staircase with cast iron balusters, and a Juliet parapet. Separate study has hardwood floors and French doors. Formal dining room with wood floors. Master suite has garden tub, separate shower, and dual vanities. Large backyard has covered patio and room for a pool. 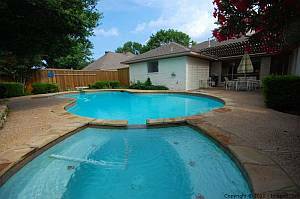 Plano TX Home For Sale – Wonderfully updated home with pool and spa in the Heart of Plano. Nice drive-up appeal with lush landscaping and mature trees. Gourmet island kitchen with granite counters, tumbled marble backsplash, and black appliances. Oversized great room with oak paneling, wood-burning fireplace and wet bar. Master suite has garden tub, dual vanities, separate shower, and two walk-in closets. Backyard oasis with covered patio and in-ground pool and spa. 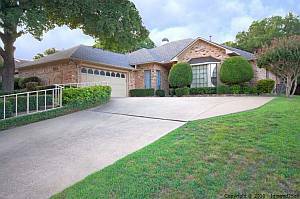 Plano Texas Home For Sale for Current Pricing, Details, Photos, and Virtual Tour. McKinney TX Home For Sale – Enjoy the country club lifestyle in this clean and well-maintained home in sought after Villages of Eldorado. Home sits on quiet cul-de-sac street surrounded by mature trees and lush landscaping. The open kitchen has lots of cabinets and counter space. Master suite has garden tub, separate shower and double sinks. Split bedrooms with walk-in closets. Recent interior and exterior paint and fresh carpet throughout. Numerous neighborhood amenities. 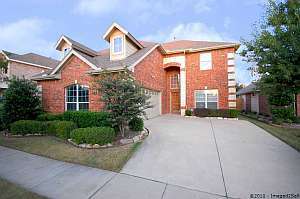 McKinney Texas Home For Sale for Current Pricing, Details, Photos, and Virtual Tour. SOLD! 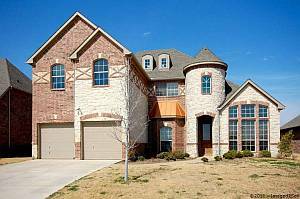 McKinney Texas – Enjoy Craig Ranch living in Frisco ISD. Well-maintained home is ready for move-in. The island kitchen with ceramic tile back splash, breakfast bar, and stainless appliances overlooks the spacious living area. Large master retreat has bay windows, garden tub with separate shower, dual vanities and walk-in closet. Fourth bedroom could be office. Designer touches include picture frame molding, archways, and French doors. Easy access to SH 121. Today marks a major milestone for CB JENI Homes and Wyndsor Court in Richardson, Texas. The builder has one home remaining and the subdivision is complete! 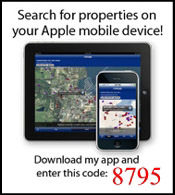 Who wants the last new home at a great price? Beautiful new construction with dramatic entry and hardwood floors in main living areas. Large island kitchen with granite counters, black appliances, and custom Maple cabinets. Master bath with dual vanities has oversized shower and walk in closet. Designer touches include crown molding, rounded corners, and art niches. Many energy features. Ready now! Follow this link for more information, current pricing, photos, floorplans, and a virtual tour of this Richardson Texas New Home For Sale. I love this time of year in North Texas. The temperatures are mild—crisp in the mornings and warm in the afternoons. As March begins so does Spring. I was reminded this morning when I was outside drinking my coffee and watching the dogs run around the yard looking for bunnies to chase. As I sipped my coffee, I noted the Bradford Pear trees were just getting ready to bloom. 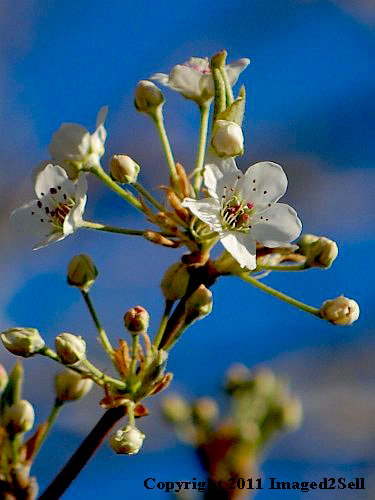 As I took a closer look, I noted a few early blooms glistening in the early morning sun. It was a peaceful moment taking it all in…the smell of the coffee, the sun kissing the blooms, the birds singing. While I knew that moment would give way to the hustle and bustle of another busy day, I had to sit there and savor the moment. I learned this lesson the hard way as I watched my spouse battle cancer. She survived and both of us look at life differently. Time is a finite resource. Take a few moments out of your day to look at the beauty around you.